Last week on the iConnectivity Blog, I wrote about the current hang-up on audio specifications, and the emerging beliefs that one can't make decent records without the tropes such as "premium mic pre-amps", "reference quality converters" or other such marketing phrases. As a former professional studio and location engineer, your author will keenly acknowledge that good quality equipment can lift a production to the next level. The most important factor in making any record though is great music and a great performance. I was privileged to work on the very last album ever recorded by the legendary Italian tenor, Luciano Pavarotti. His incredible vocal performances were all done in no more than two takes, with a bare minimum of edits. To illustrate the point, here's some great examples of great records made on, at best, minimal, and at worst, broken and junky equipment on a tiny budget with a lot of creativity. ROCKET 88, You Really Got Me, and the tale of busted speakers. Guitarists nowadays will often spend thousands to nail their "perfect guitar tone"; however, the origin of distorted rock'n'roll guitar is somewhat more prosaic. Legend has it that en-route from Mississippi to Memphis, Jackie Brenston's guitarist's amplifier fell off the roof of the car, which busted the speaker badly. Arriving at Memphis Recording Services (later Sun Records) the guitarist quickly stuffed the busted speaker with newspaper which gave the guitar a gnarly, raspy edge to the sound. Rock'n'roll was born. Incidentally, the producer that day was a certain Sam Phillips who later went on to record some notable acts called Elvis Presley, Johnny Cash, and Jerry Lee Lewis. Things are easier nowadays of course, and vintage amp fans everywhere can breathe a sigh of relief that no more speakers need to be busted! These days all our iConnectivity audio interfaces feature an instrument level input, allowing you to plug straight in and use high tech amplifier simulations to mould your guitar sound. Please don't throw your interface out the window of your car, or attack it with razor blades though - it won't sound any better and you'll only make James (our repair guy) sad when he has to repair it. In 1979 Tascam launched the 144 Portastudio under their TEAC sub-brand. The 144 was a revolution in home recording, as it allowed musicians to make multitrack recordings on four tracks using cheap and readily available consumer cassette tapes. So it was in 1982 that Bruce Springsteen's guitar tech, Mike Batlan, purchased a TEAC 144 and two Shure SM57 microphones, and set them up for Springsteen at his home in Long Branch NJ. Springsteen set to work on recording demos for his forthcoming album. Happy with the songs he recorded, the songs were mixed from the TEAC 144 with a touch of Echoplex delay onto a boombox.... which had previously managed to end up submerged in a river by accident. The tracks were a little wonky sounding, with obvious distortion in places, but hey - they're demos right? Wrong! Springsteen took his "demo tape" (which he'd been carrying around without a case in his jacket) to the studio to re-record the songs with his famous E-Street band. Unfortunately he soon found that the "vibe" and soul of his Portastudio demos couldn't be recreated in a big expensive studio. 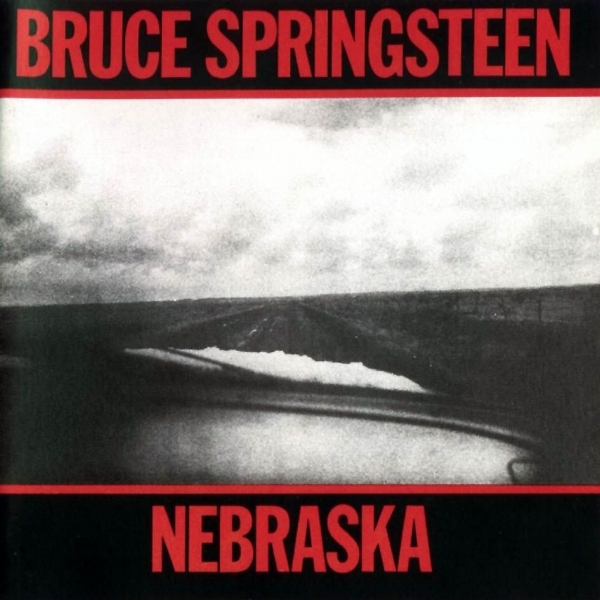 So it came to pass that Springsteen's Portastudio "demo" cassette became the master tape for his hugely acclaimed album Nebraska; an album which went on to become platinum certified. Nowadays anyone with a laptop (or in the case of our Audio 4+ and Audio 2+ interfaces, an iPad) can create music in the same, accessible way as Springsteen did with his Portastudio. The difference is, mastering engineers won't complain about the terrible tape noise and distortion! Or to be more precise, a Technics 1200 Turntable, a sampler and maybe an ADAT recorder. Yep, such minimal equipment, coupled to a pile of old vinyl records and a whole HEAP of creativity, has led to some great records. 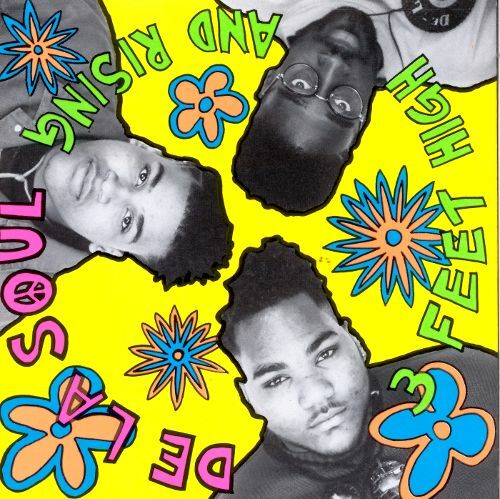 De La Soul's Hip-Hop masterpiece, Three Feet High and Rising, was made using fundamentally nothing more than a Casio RZ-1 Sampling Drum Machine, an Eventide Harmonizer, a turntable and a stack of vinyl records. That super minimal setup didn't stop Three Feet High and Rising becoming a success; in fact, it became coined as the 'Hip-Hop Sgt. Peppers' and was described by the NME as "one of the greatest albums ever made". Taking the minimalist sampling technique even further, was DJ Shadow's album Endtroducing. an album made up almost entirely of sounds DJ Shadow discovered whilst browsing the basement of 'Rare Records' in Sacramento. There in the basement, Shadow would search for hours amongst the piles of discarded and unwanted vinyl records for inspirational samples. He'd then use a Technics SL1200 turntable, an AKAI MPC60 sampler, and an Alesis ADAT 8-track to turn the samples into art. Endtroducing became a near instant classic, receiving widespread press accolades, and going on to be certified gold in the UK and Canada. Not bad for a collection of old vinyl eh? It's easy to recreate the setup of these vinyl and sampling pioneers with iConnectivity kit: our Spin XLR phono preamp lets you interface your turntable directly with an audio interface. An iConnectivity interface coupled to a modern DAW and a light smattering of VST Instruments and plugins, and there's nothing stopping you from making a Platinum album except talent and inspiration. So go on and get out there! We'll be right here with all the tools you could need. Why the Obsession with Audio Quality?